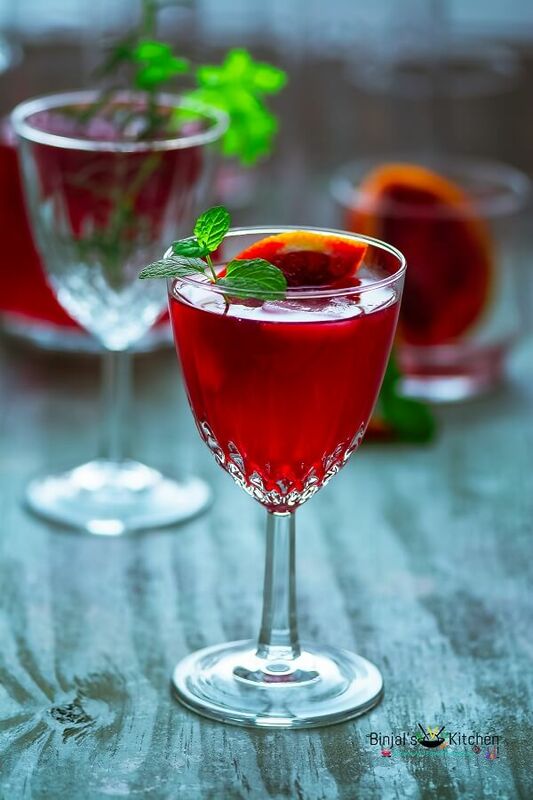 Blood Orange Gin Cocktail is a perfect drink for any season or party. Blood Orange Gin Cocktail is dangerously delicious. 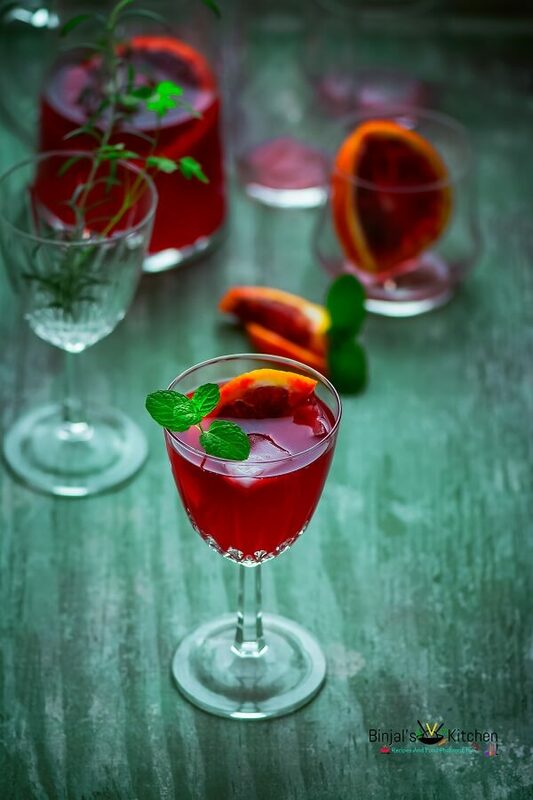 This Blood Orange Gin Cocktail drink’s tasteful flavor and looks are just GORGEOUS! Fresh squeezed blood orange juice combined with fresh lime juice make this perfect winner for winter or spring cocktail. 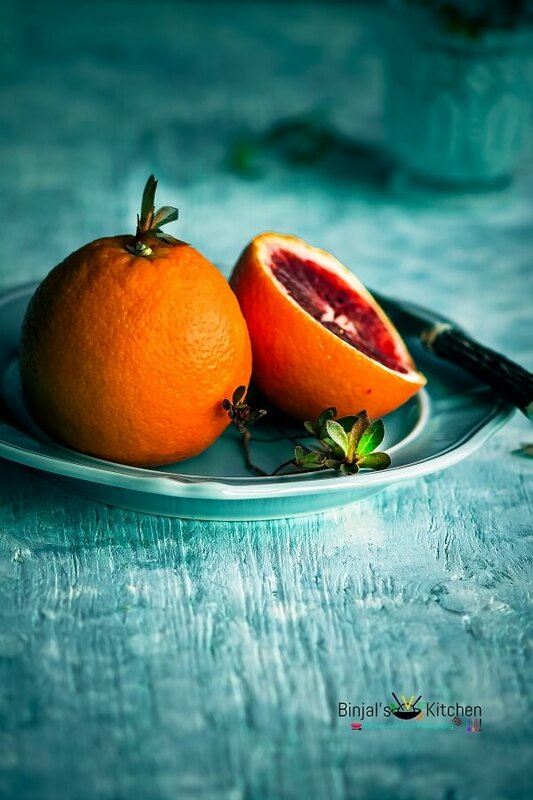 A blood orange by any other name would taste just as delectably sweet and tangy, and look just as exotic but no other name would describe this gorgeous, decadent, ruby-red fruit so well. A true star of the citrus season, blood oranges are on the shelf now. Get the most out of their color and sweet, almost berry-tinged flavor. 1. Cut the blood oranges into half and squeeze out the all juice from it. 2. In cocktail shaker add squeezed juice, gin, sugar, lime juice and shake it till all sugar dissolved properly. 3. Now add club soda, mix it again and let settle down the drink. 4. 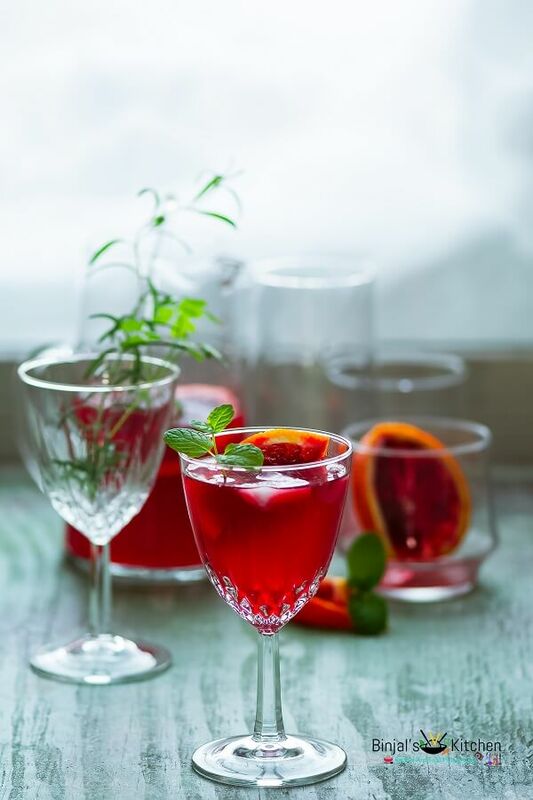 Pour the drink into the serving glasses, add ice cubes and garnish it with blood orange cubes, mint leaves and serve Blood Orange Gin Cocktail. • You can use any brand of gin as per your choice. • You can rim the glasses with zest of orange and sugar to make your drinks more decorative. Cut the blood oranges into half and squeeze out the all juice from it. In cocktail shaker add squeezed juice, gin, sugar, lime juice and shake it till all sugar dissolved properly. Now add club soda, mix it again and let settle down the drink. Pour the drink into the serving glasses, add ice cubes and garnish it with blood orange cubes, mint leaves and serve Blood Orange Gin Cocktail. Wow! Stunning clicks and Nice share ….